4word: Business has been part of your story since you were very young. Can you share with us a little of your background? Christa: My roots were cast in a small California community, where I grew up on the outskirts of town riding dirt bikes, playing sports, swimming year round, and playing volleyball and basketball. I had a competitive spirit from an early age. I remember my Dad throwing me the football and making a game out of how many times I could catch the ball before it dropped and we had to start the count over. A quintessential tom-boy! When I was 9 years old, I joined 4H, then FFA in high school and showed animals at the local county fairs and later state fairs in the Western US. By the age of 15, I had built my own little empire to include a livestock herd of 150 head of sheep. Along the way, my competitive drive grew. Over the course of nine years, I had won several Grand Champion ribbons, multiple other accolades and only lost showmanship at the local level once, placing second. Though I’m not certain I realized the scale of this little business at the time, I did realize it afforded me the ability to purchase my first computer (I was so proud to learn Lotus 123… oh so long ago now) and eventually purchase my first truck by age 15. That competitive spirit later transitioned into collegiate basketball and swimming, and I eventually became the first in my family to earn a college degree. 4word: What drove you to be successful? To what do you attribute your meteoric rise in the professional world? Always respecting everyone’s role in the work force…in my case, never forgetting the importance of being a bank teller and all of the jobs in between that bank teller role and the role of a CEO. I decided in 2006 that I was going to run a bank while attending Pacific Coast Banking School, a three-year management program at the University of Washington (I am now on the Board of Directors). I told one of my roommates I was going to hire her to run Wealth Management for me when I became a CEO. I hired her in January 2014 as my Executive Vice President of Wealth Management. 4word: Did you ever come up against opposition in the workplace, being a professional woman? Christa: I’ve been asked this question many times. I can honestly say I had never felt the proverbial “glass ceiling” until we announced the acquisition of the bank, and our new ownership quickly decided they were going to call the shots. It’s tough to say whether my role had changed because of being a woman or if it was simply because the new ownership had just paid several hundred million dollars for their new investment and wanted things done their way. I had a very supportive board of directors, so I would like to think it was the latter. I feel very strongly about earning your own stripes and believe good business minds recognize effective leaders, not gender. I’ve never viewed my industry through a gender-based prism or allowed myself to be put in a position where I wasn’t the shining star, thereby negating any gender issues. I am not one to support a hand out, but am one to support a hand up for women striving to better themselves both professionally and personally. 4word: When you became CEO of a $3.5 billion bank (MCHB:OTC), did you ever feel scrutinized or misjudged? Christa: Yes. When you are the CEO, you become the target of scrutiny and are continually being misjudged. It comes with the territory! It’s not easy. I had many sleepless nights. At the time I was hired to lead Mechanics Bank as its CEO, the bank was 110 years old and majority owned by two well-known fourth generation families in the Bay area. The Board of Directors had interviewed and evaluated over 300 candidates for close to two years. My interview process lasted several months. I was, by far, the youngest candidate at 38 years old, and the only one who had not previously sat in the seat as a CEO. I was well trained coming into the role and in fact, had initially passed on Mechanics Bank to stay with my prior employer who had rolled out the red carpet, doubled my salary overnight and offered me the role of President and Chief Operating Officer just a couple of months prior. I verbally accepted the position, but after being unable to negotiate a reasonable new employment contract, decided to call Mechanics Bank and see if they were still interested. Within days, I resigned and Mechanics Bank issued a press release announcing me as the new Chief Executive Officer. My Board of Directors had initially hired me to turn the company around financially. Earnings had become a derivative of one-time loan loss recoveries and harvested securities gains. Something that was not sustainable long term. The company was highly inefficient with forecasted expenses exceeding eighty cents on each dollar heading into the 2014 calendar year. Shortly after my arrival and embarking upon the much needed financial turnaround, I was asked by my Board of Directors to explore an acquisition of another bank. It was a bank I knew well. I dismissed the request as a joke at first as it didn’t seem possible. We quickly entered into a non-disclosure agreement to discuss the two banks coming together through a merger of equals. Mechanics would maintain majority control, keep our name and our headquarters and we had agreed on the new leadership team. Several months into these discussions, the transaction ultimately fell through over egos and ethics. The word quickly got out that Mechanics was evaluating potential combinations. Rumors spread like wildfire through the organization that a sell was imminent and that I had been brought in to streamline operations to bolster the value of the bank and to sell the company. Within days of this first transaction falling through, I was asked by my Board to inform the executive management team of impending due diligence to sell to a big bank in Southern California. I felt whiplashed… first we were the acquirer, now we were to be acquired. This deal also fell through after a couple of months of discussion. Ultimately Mechanics Bank sold majority control to a private equity firm several months later. It was during this time that I was doubted, scrutinized, and misjudged not only by the staff but by the public. The Bank was well known in the communities it served with a loyal customer following. The hardest part was not being able to communicate what was going on and shut down the rumor mill. I have no doubt that some employees thought I rode to work on a broom instead of in my car. As with all rumors, there is usually some degree of truth but with great embellishment to keep the conversation alive. I can only imagine what “water cooler” talk was like in the break room when rumors were at the all-time high. As I look back now, I really feel like God placed a shield of armor around me during this time. Through all of this managed chaos, we united as a management team and as the board of directors. My team and I did our very best to be open and honest with staff without being able to disclose what was going on behind the closed doors. To that end, I had this great idea come to me during one of those sleepless nights and I formed a “Day in the Life Of” program in which employees could spend an entire day with me going from meeting to meeting and ask questions. At the time we had close to 600 employees and 1/3 signed up to spend a day with me. It was during these days that I got to know people one-on-one. I had lenders, to couriers, to vault tellers, come and spend the day walking in my shoes. I taught, listened, identified future leaders, took their ideas and we implemented them where we could. 4word: Is there anything you wish you could go back and change in your career? I would definitely slow down the pace at which change occurs. I would be more assertive with my Board and not try to streamline operations at the same time we evaluate whether the company would remain independent or sell. We achieved stellar financial performance but things moved way too fast in retrospect. I learned the importance of and came to appreciate the ability to better utilize my platform as a leader of a company with a market capitalization in excess of $500 million both in and outside of the workplace to empower thought and leadership. I would leave my cell phone in my purse until after dinner and then turn off my cell phone by 9:00PM. I would not be plagued by my fear of failure. I’d realize failure is an option, is OK, and is part of professional and personal growth. 4word: What advice would you share with young professionals just entering their careers with dreams of making it big? Identify and define your priorities in life early and stick with them. Don’t lose sight of what’s important in your life – your family, your deity, and your friends. Know when to pass and when to accept a job promotion. The grass is not always greener. Timing is everything. Stay balanced and remember that when you die, you won’t be remembered or judged for your stellar work performance. Learn from those that led you and remember what you liked and didn’t like about their leadership style. Lead before you have leadership in your job description. Be a sponge of wanted knowledge, take on more than your job description, stand out from your peers, be the “silver bullet” within your organization. Have a firm handshake, walk with a purpose, look people in the eye, and dress to kill. Stay away from feeling entitled and instead, earn your stripes from your hard work. Never think you know it all. You close the door to opportunity the minute you stop learning. What would you go back and change in your career? If you’re at the beginning of your career, where would you like to see it go? Christa shared amazing insight on the entire professional journey, so no matter where you are in your career, heed her words and plot your course for the future. In the Fall of 2013, Christa Steele was named President and Chief Executive Officer of Mechanics Bank (MCHB), an institution with $3.4 Billion in assets and a market capitalization in excess of $500 million.To put this in perspective, there are more than 6,000 financial institutions in the United States. California has over 230 banks, but only 38 with a market cap in excess of $100 million. 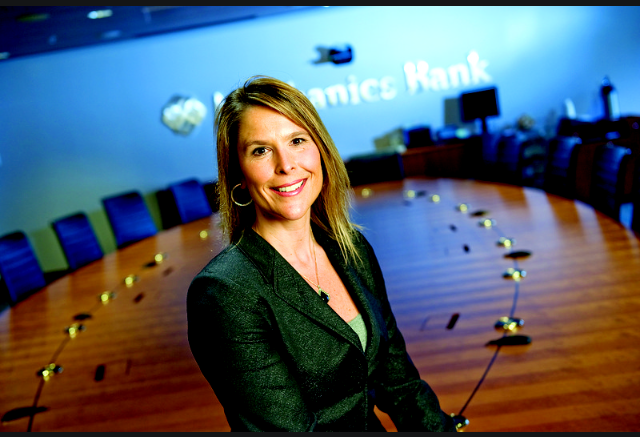 She is believed to be the youngest female CEO in the United States to lead a bank the size of MCHB. In 2014, Christa led the bank to core earnings improvement of 43% and reduced the efficiency ratio from 77.33% in 2013 to 65.94%. Simultaneously, she led the company through the evaluation of three separate M&A transactions. Under Christa’s leadership, the stock price more than doubled. Advisors commented that Christa addressed an unusually wide variety of banking issues that required understanding of the role of every thread in the industry fabric. They noted that long tenured executive officers are rarely even exposed to the array of issues Christa quickly navigated to success. Christa left Mechanics Bank via change in control shortly after private equity obtained majority ownership in 2015. Christa is a well-known public commentator on industry issues, often speaks about her journey to the role of a CEO and mentoring aspiring leaders. She is an advisor to industry leaders, has lobbied Congress on banking issues and maintains a great working relationship with bank auditors and regulators. 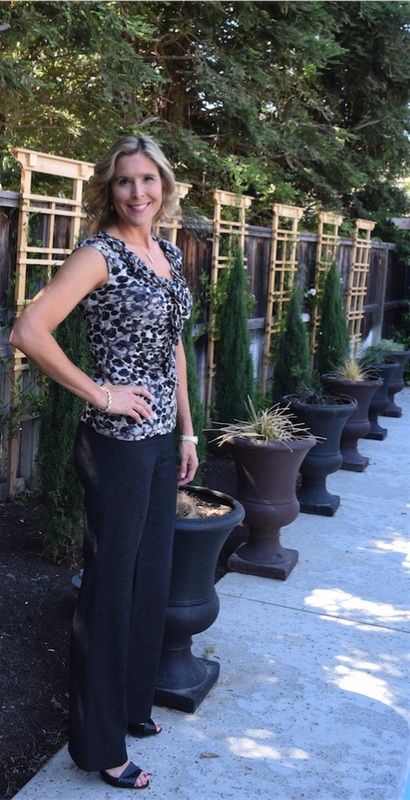 Christa is a graduate of California State University Sacramento, CBA Commercial Lending School and Pacific Coast Banking School. 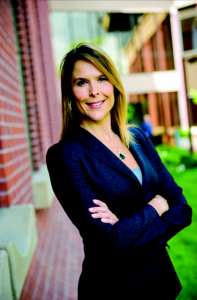 Christa currently serves on the Board of Directors of Pacific Coast Banking School. She enjoys spending time with her family, Hot Yoga, CrossFit, Swimming, mentoring youth and supporting various local non-profit organizations.